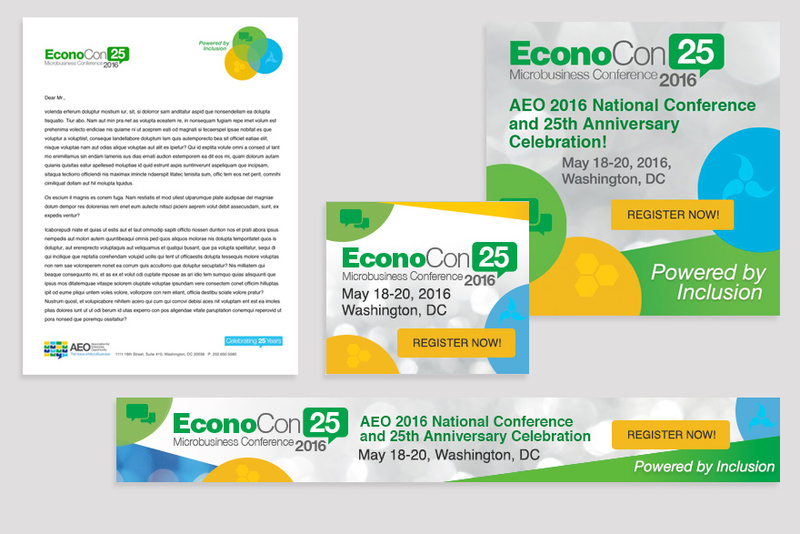 The AEO 2016 Annual National Conference coincided with the celebration of AEO’s 25th Anniversary. 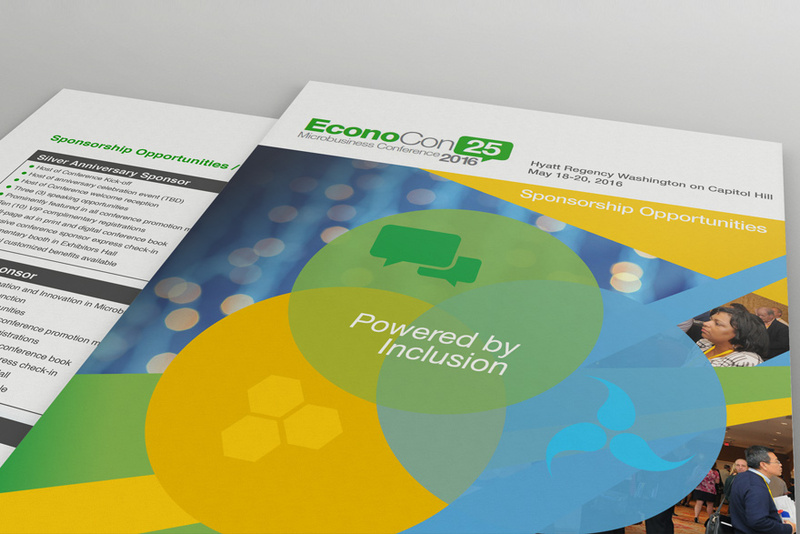 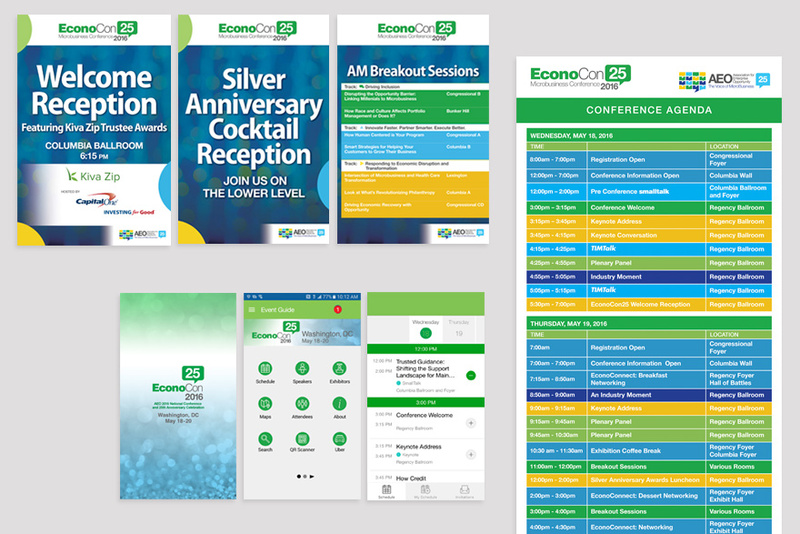 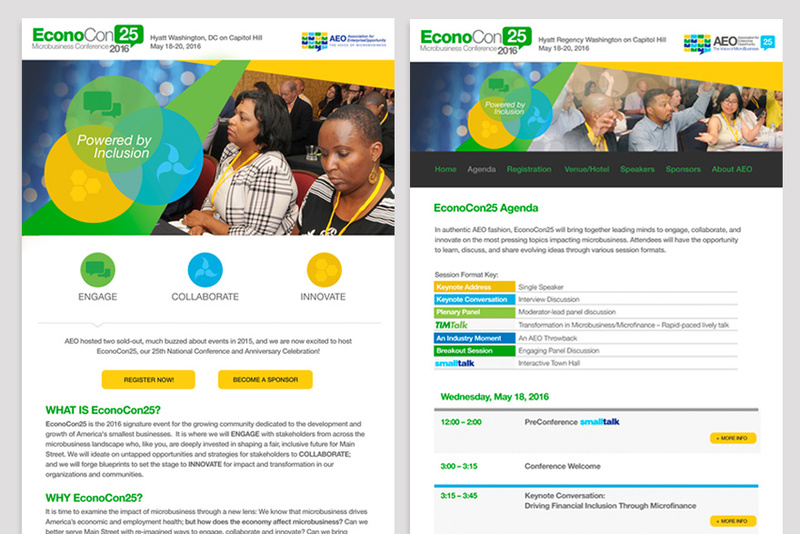 The association named the event EconoCon 25 and it was important to them that the materials made it clear that theme of the conference was “Inclusion”. 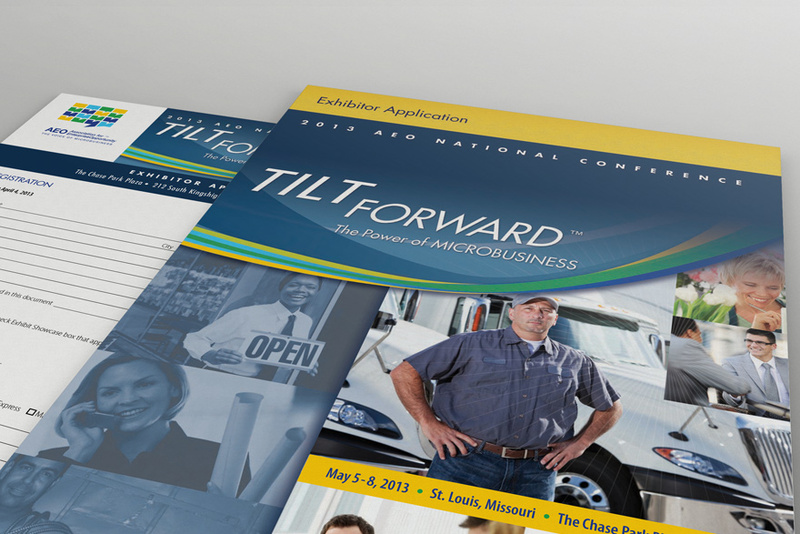 Conveying these three distinct messages clearly presented a challenge in branding this event. 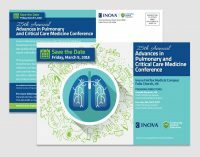 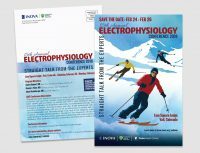 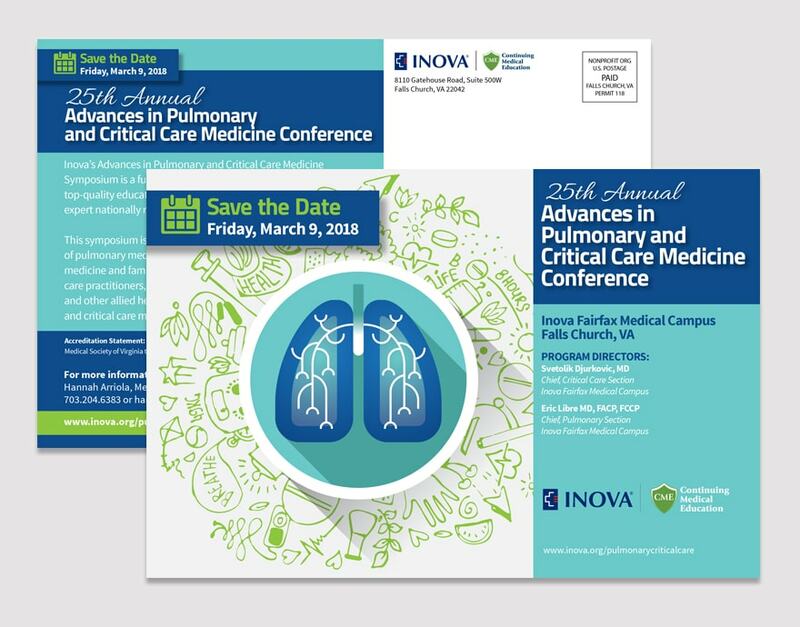 Oversight of massive printing and delivery of all conference materials including – name tags, signage, program books, reports, brochures, giveaway items – pens, bags, notebooks, etc. 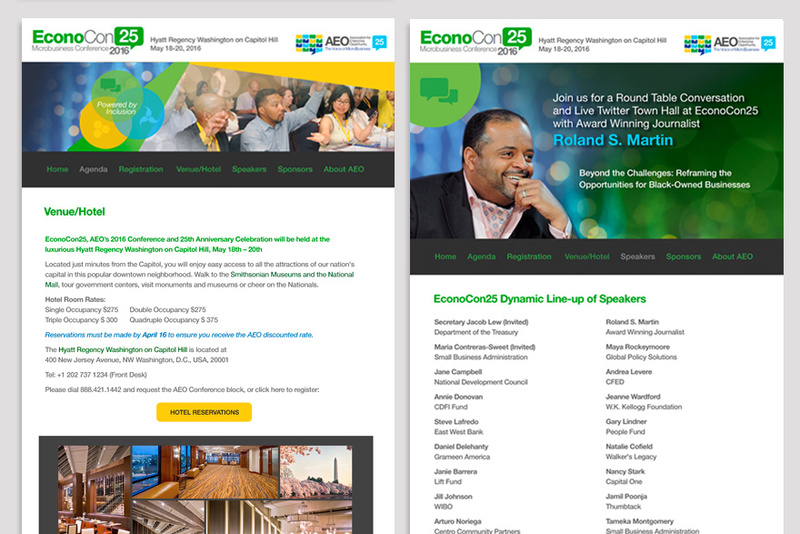 Association for Enterprise Opportunity’s (AEO) national conference attracts active leaders in the small business community who impact America’s smallest businesses and underserved entrepreneurs including: lenders, nonprofit and for-profit service providers, advocates and policy makers, funders and investors. 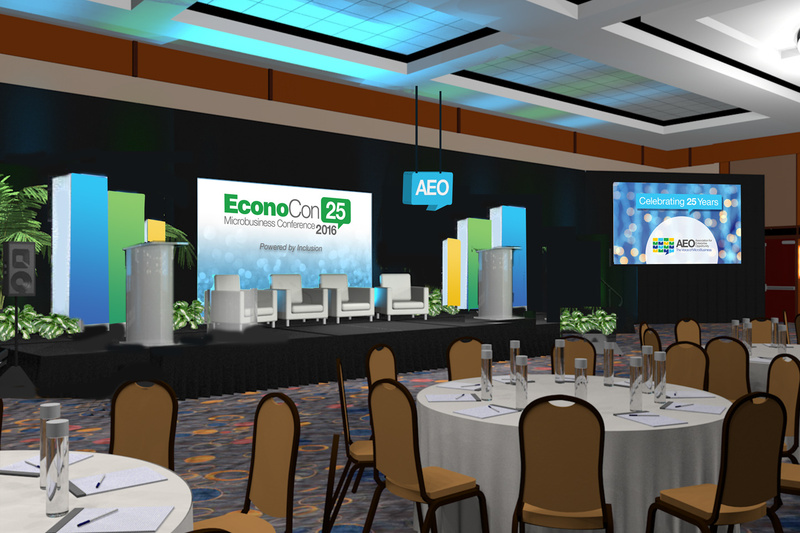 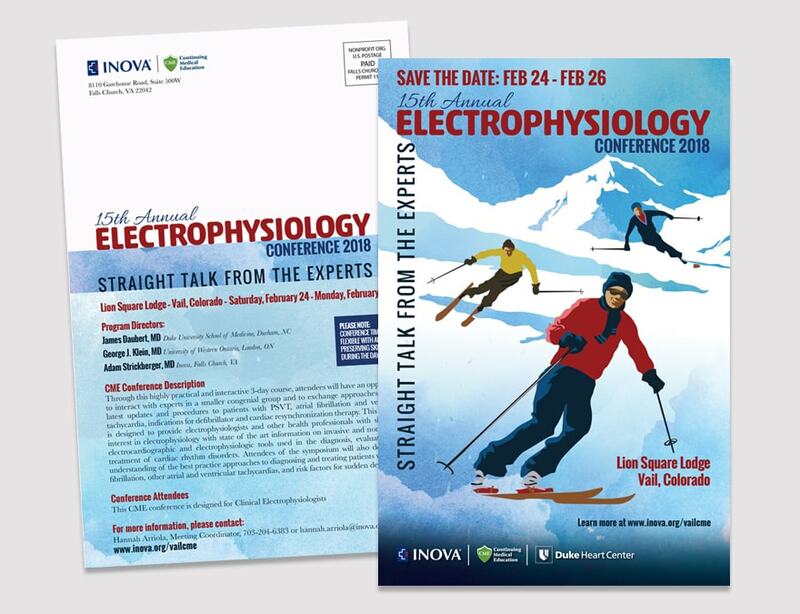 Since 2012, we have partnered with Over the Top Marketing to brand the AEO conference and standalone conference elements.